Great Wines Direct have a huge collection of wines, including over 50 grape varieties from over 60 wine regions. 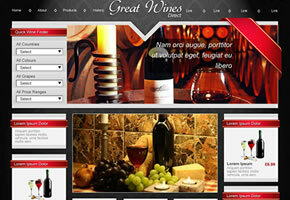 GWD needed a site that would allow them to host a large quantity of products with a custom search function so that users could find the wine that they’re looking for. The site also allows users to create accounts, be tagged as “trade” or “retail” customers (for separate pricing) and processes payments within the interface. The content management system was also heavily customised including a new editor and the ability to set different conditions to sales of products – such as discounts for buying in bulk. 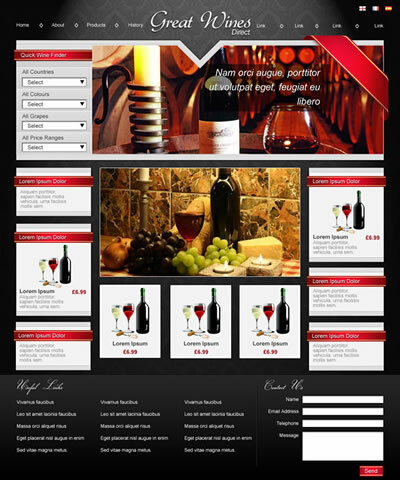 The client can also change the column content order, edit text and images and maintain their site from this admin area. On the home page, we included a jQuery image rotator to highlight products that may be of interest to our customers, and show the latest products, best sellers and any special offers that are running. Over and above what was expected, offering excellent advice and some extras not even considered!